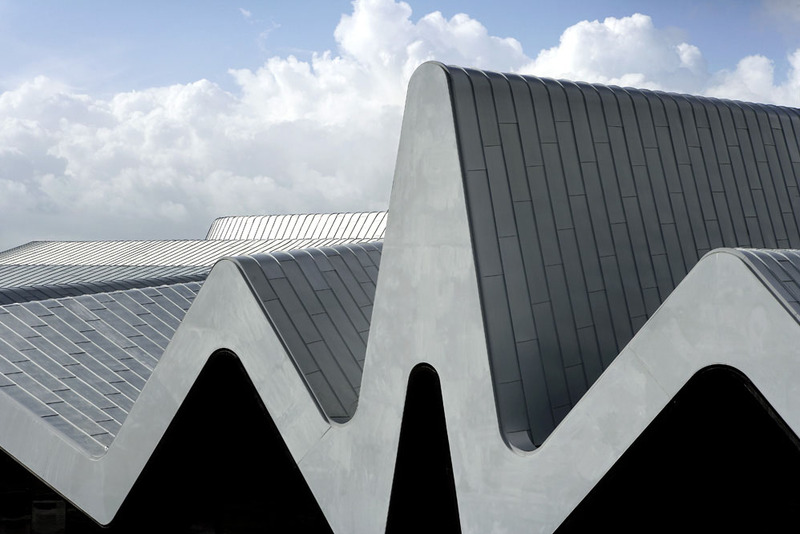 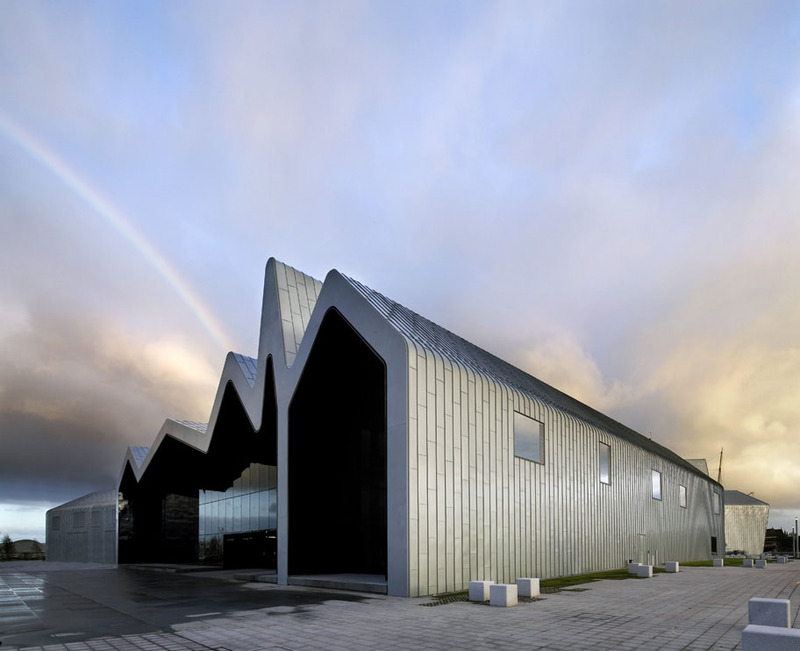 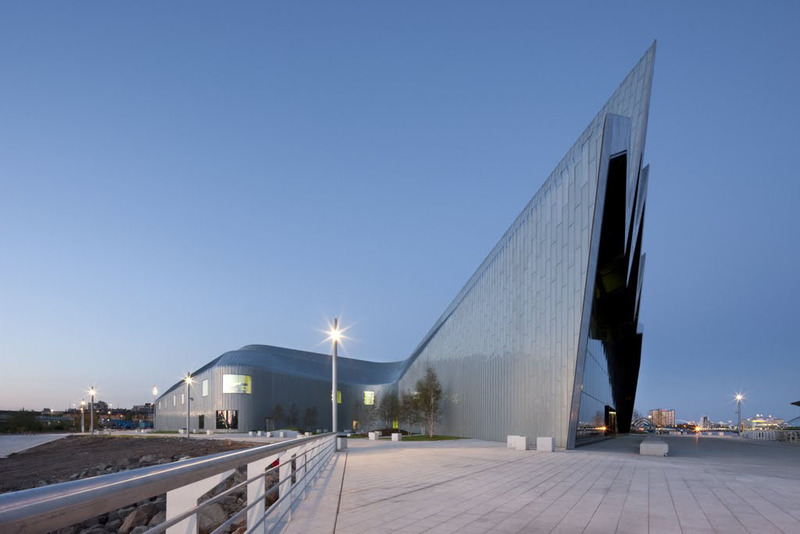 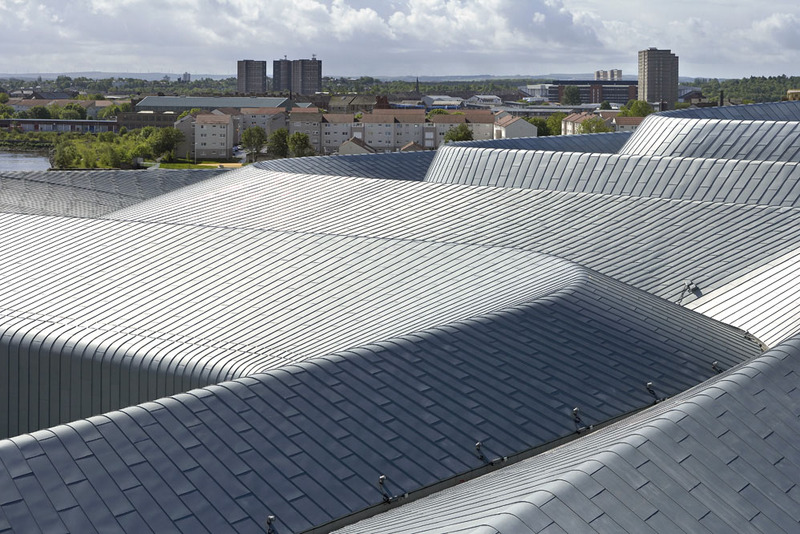 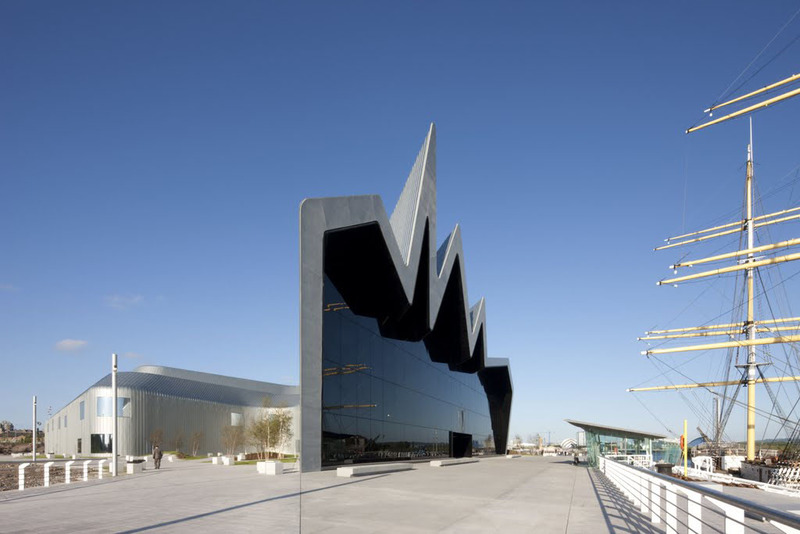 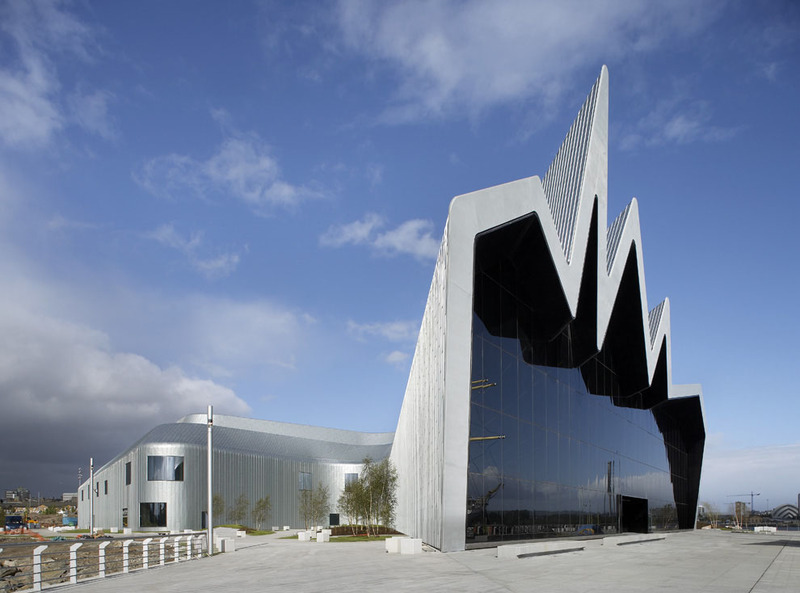 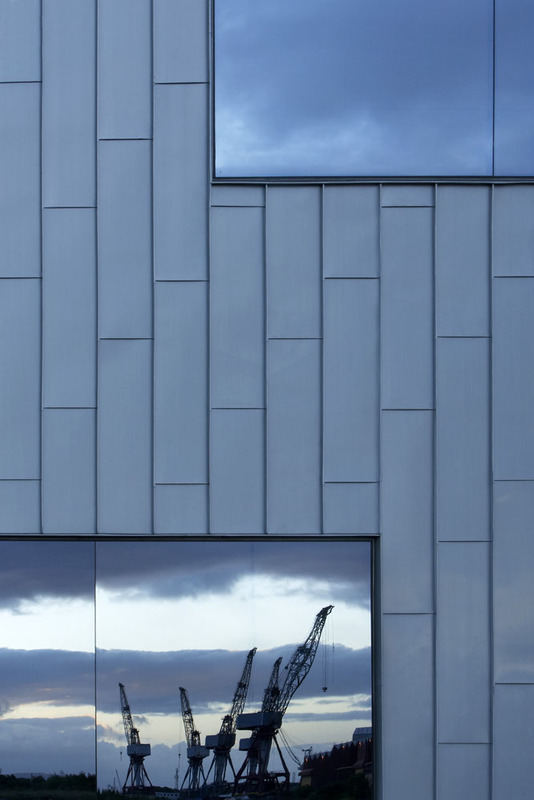 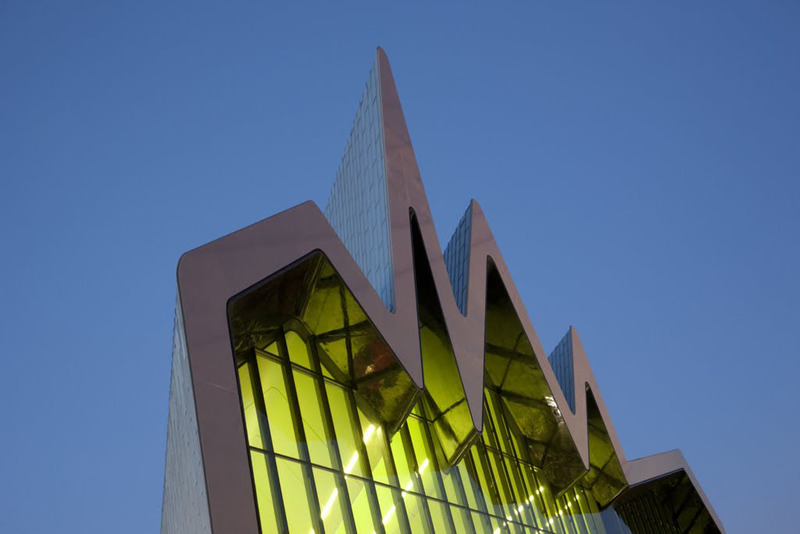 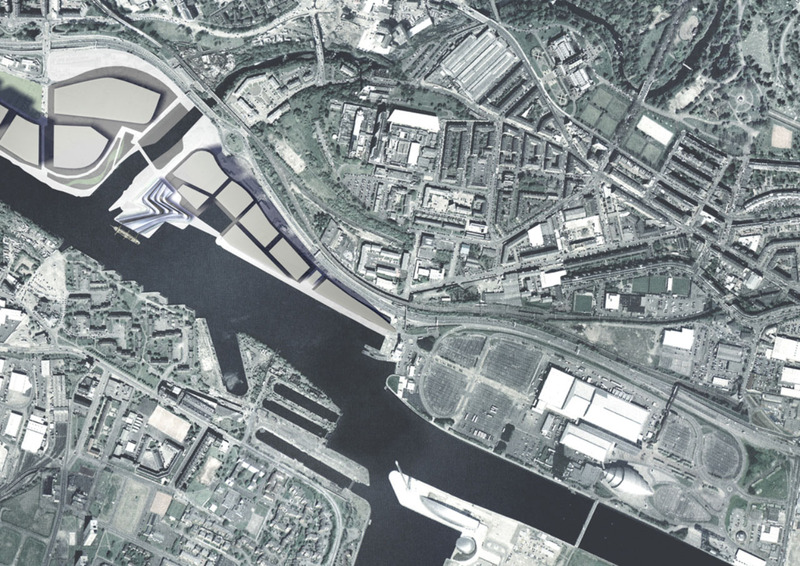 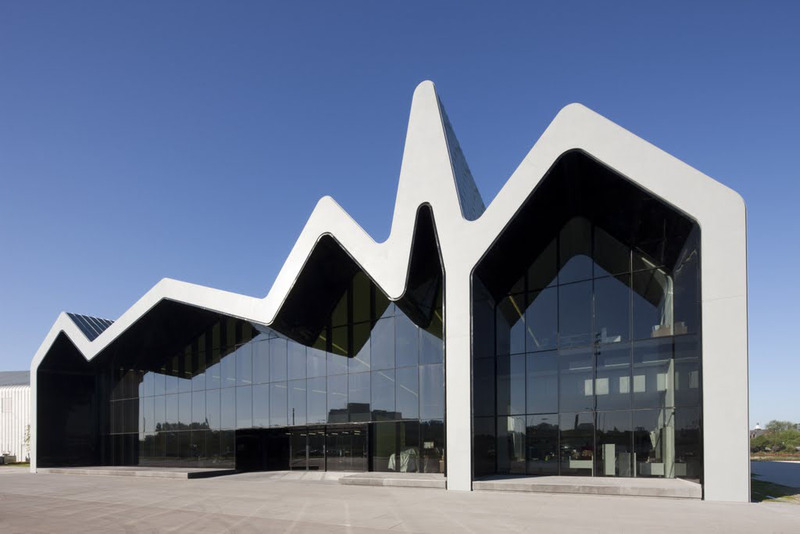 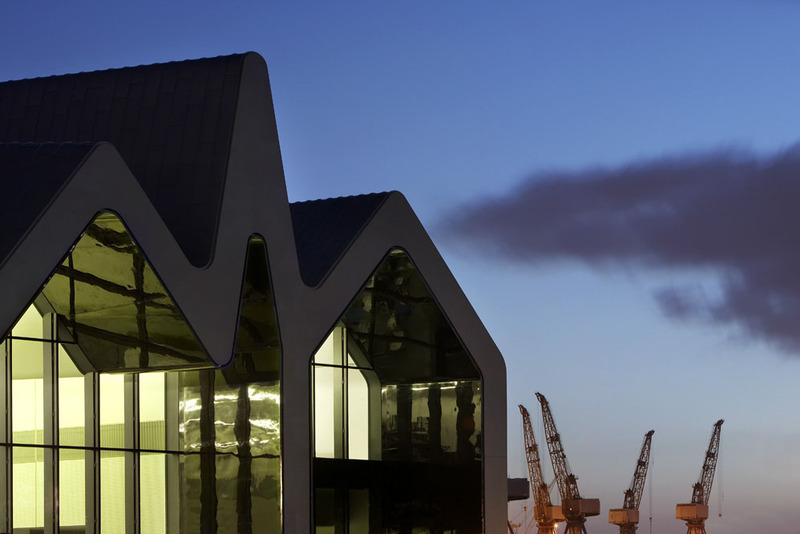 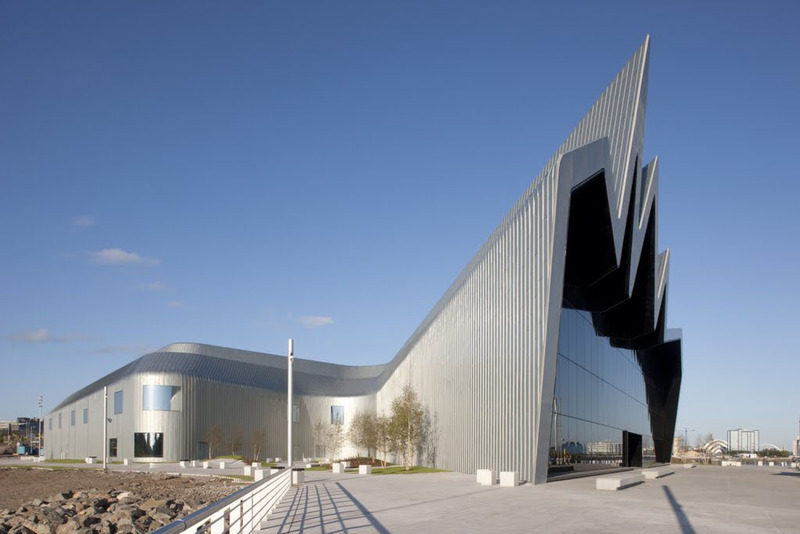 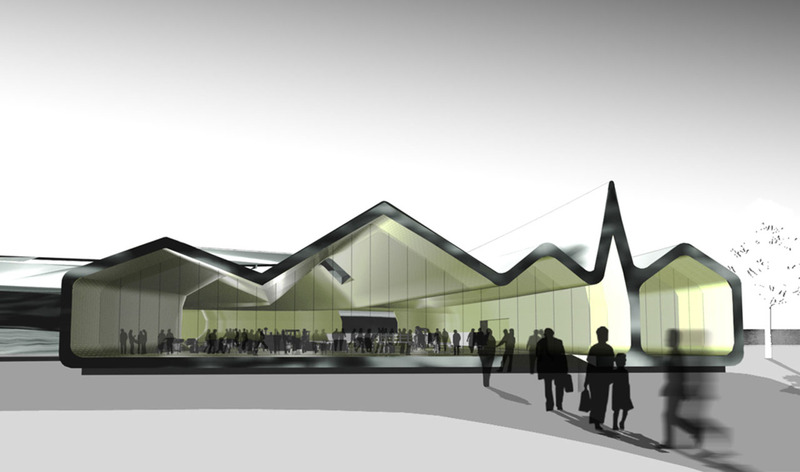 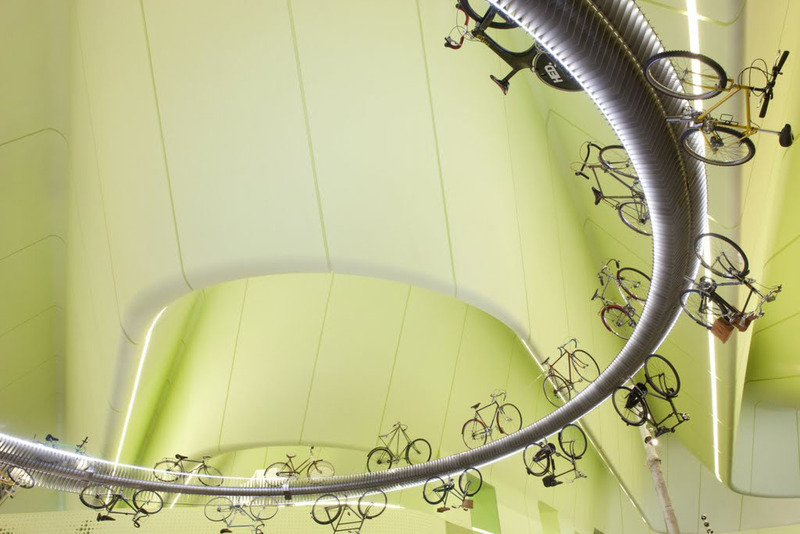 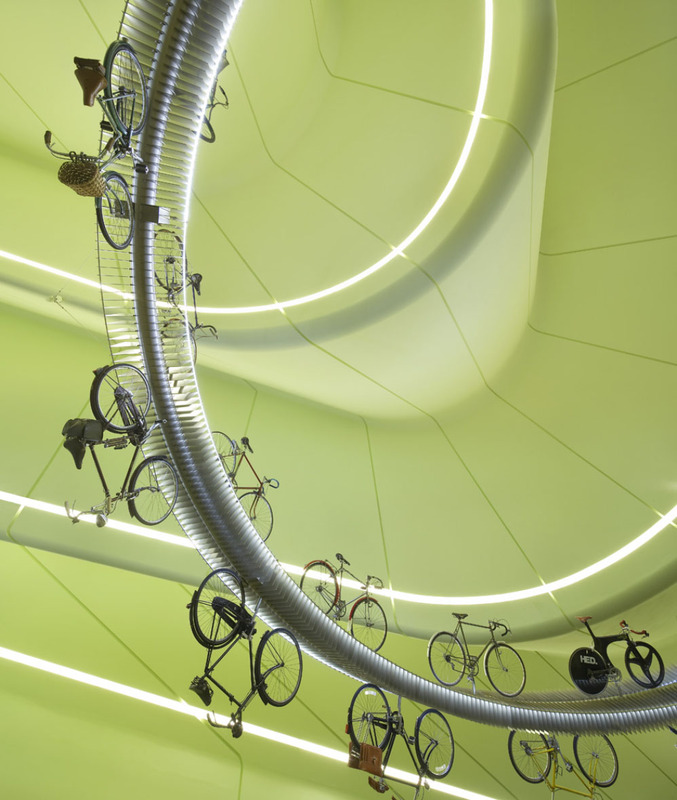 DHA Design illuminates Glasgow’s Riverside Museum of Transport and Travel. 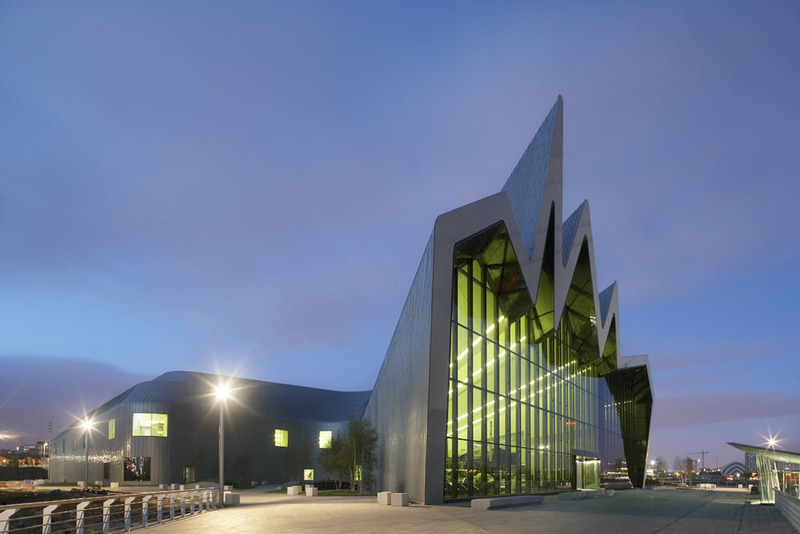 This third article in Buildipedia’s five-part series on the Riverside Museum gives an in-depth look at the building’s lighting design. 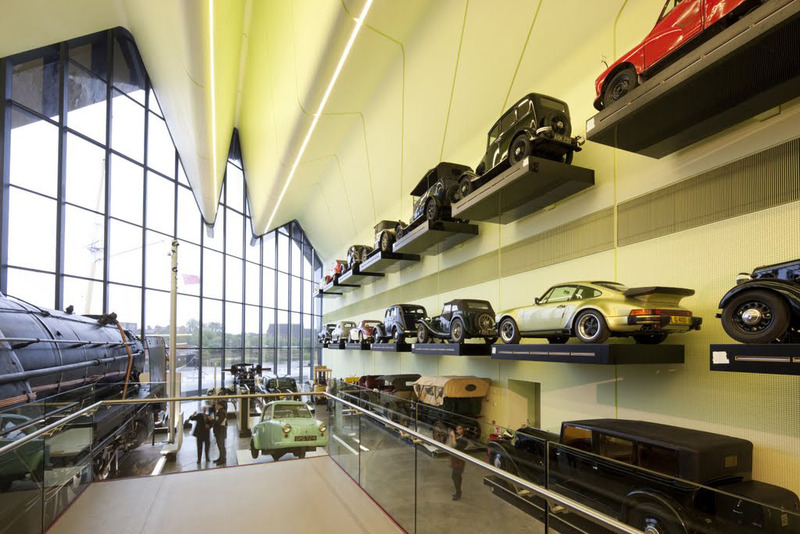 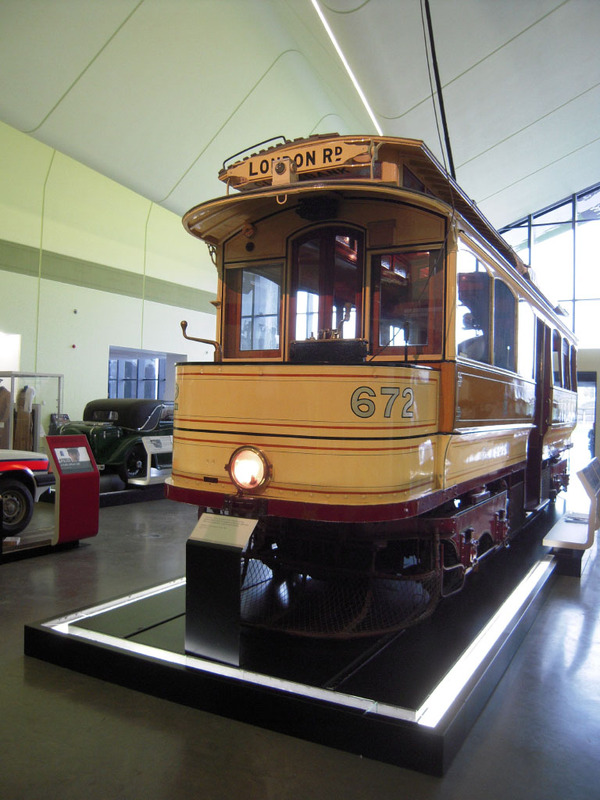 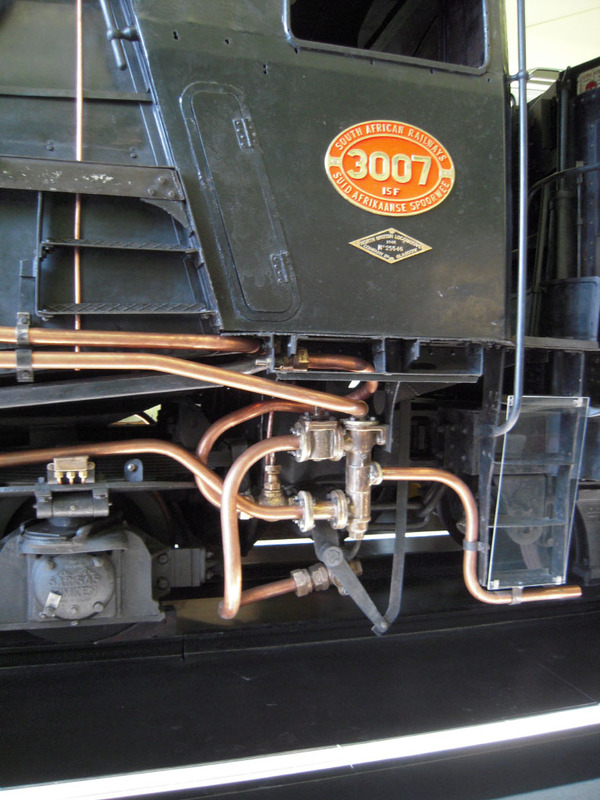 In 2006, lighting consultancy DHA Design in London was appointed by exhibit firm Event Communications as the lighting designer for the iconic Riverside Museum of Transport in Glasgow, Scotland. 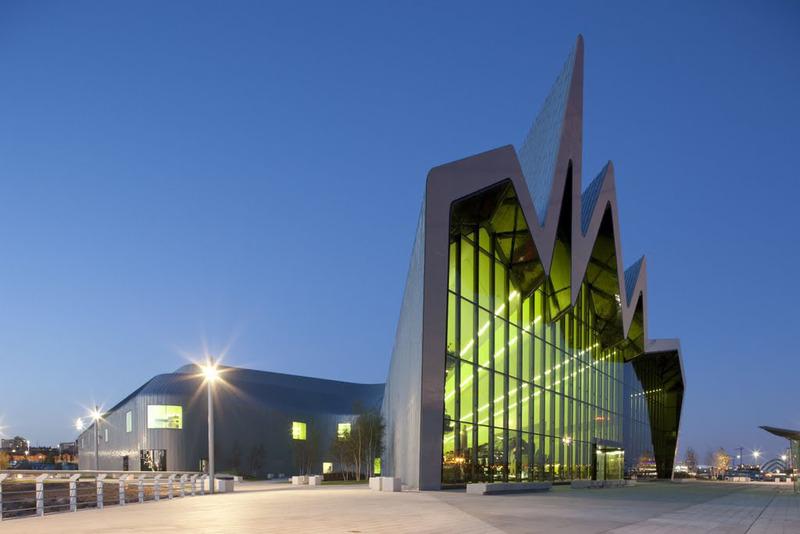 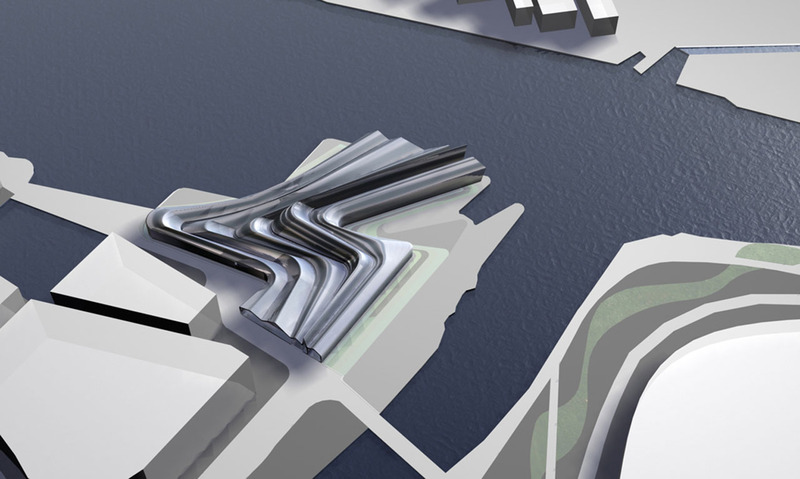 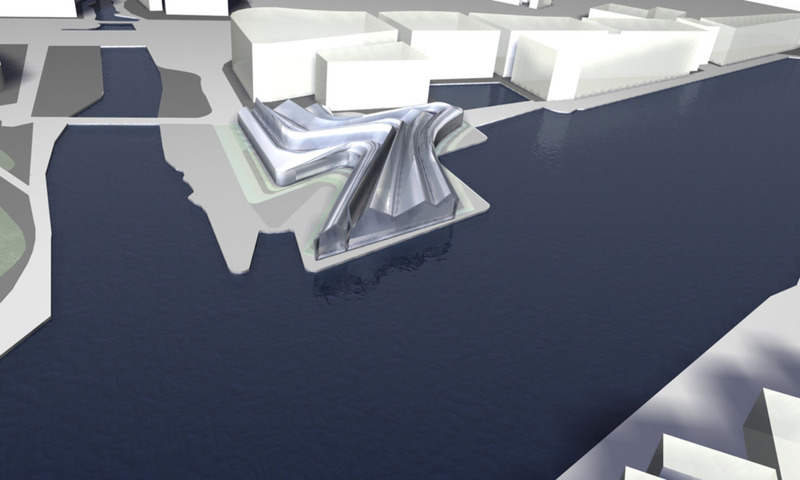 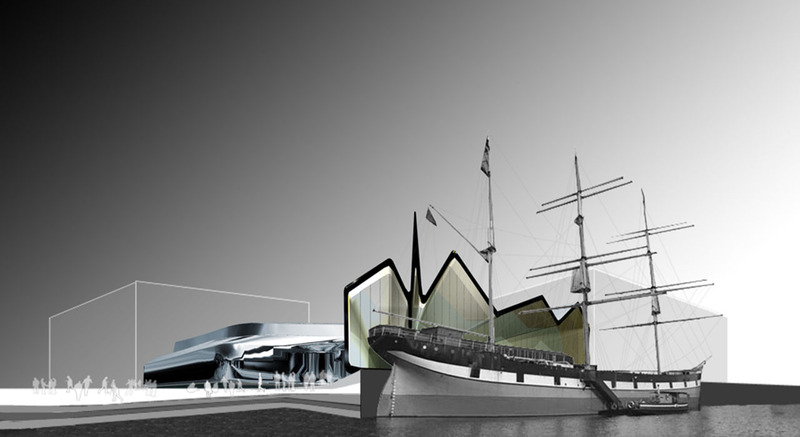 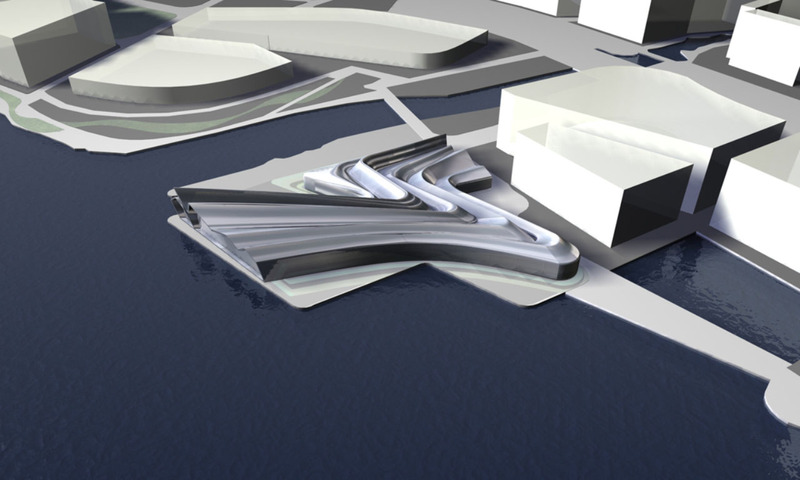 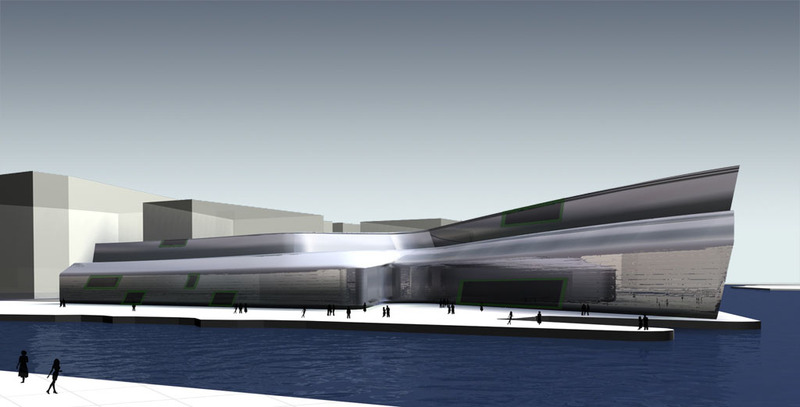 For approximately three years, the two firms worked closely to design a lighting plan that would not only embrace architect Zaha Hadid’s overall vision and concept for the museum but also would complement the exhibition layout, which features more than 3,000 objects, films, photographs, and personal testimonials that reveal the vibrant history of the city of Glasgow. 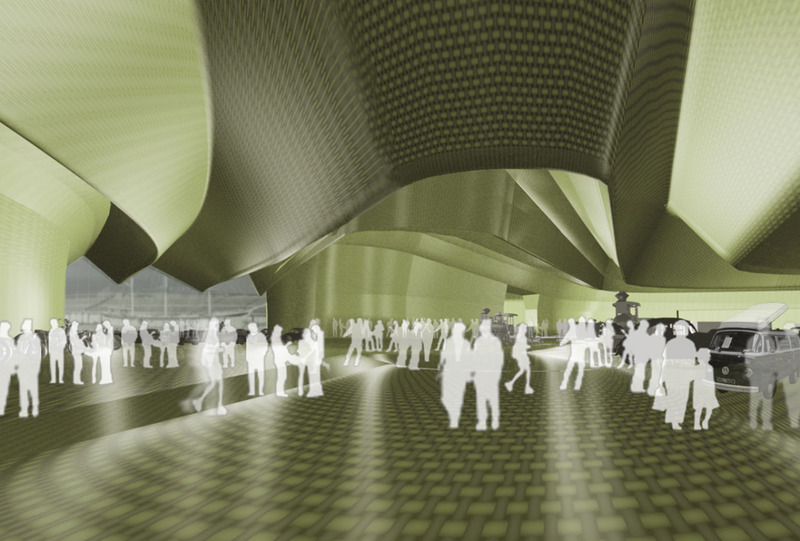 Upon being awarded the project, DHA Design’s first challenge was to evaluate existing light sources. 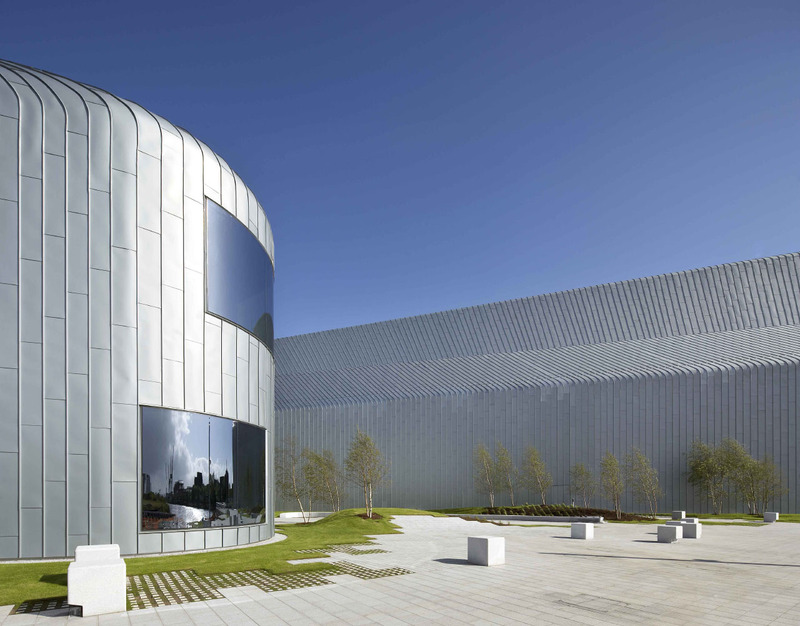 The building already offered ambient natural light from large glass windows on the north and south facades, as well as cold cathode lighting, which had been designed by Inverse Lighting. 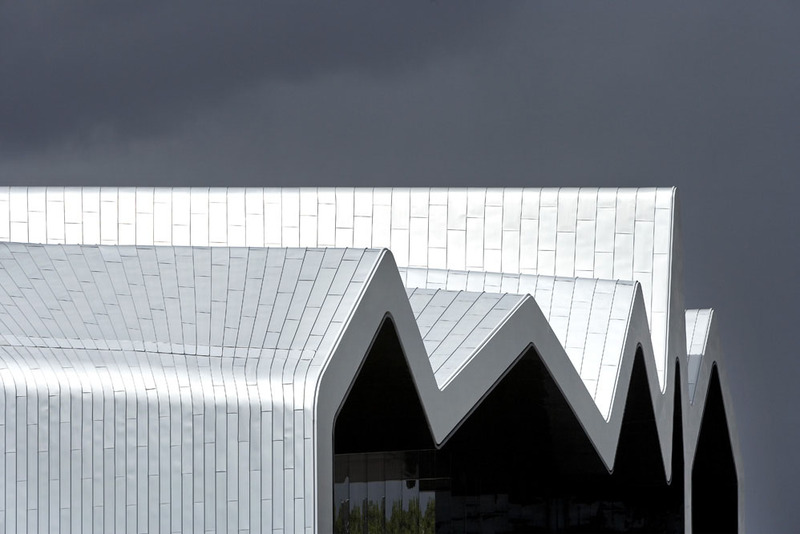 “With daylight entering the exhibition spaces from both ends of the building, blending the various light sources was a challenge,” says Grater. 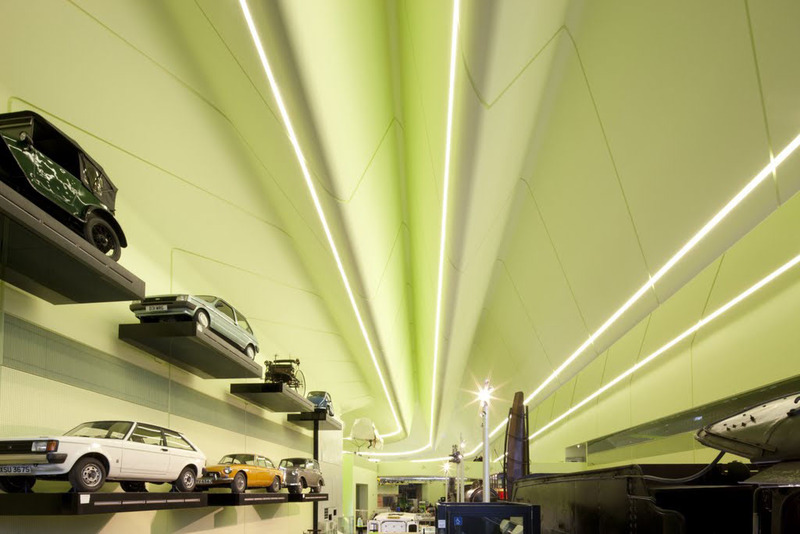 To solve this challenge, DHA Design set the color temperature of the cold cathode to 4500 degrees, fluorescent lighting to 4000 degrees, and LED and metal halide to 3000 degrees. 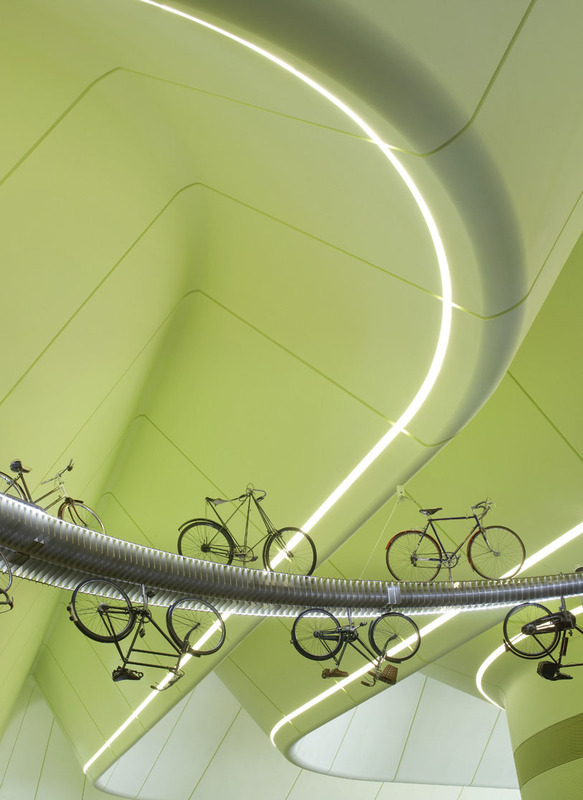 “The resulting balance in both terms of color and light levels works well, rendering the natural colors of the objects and allowing the changing play of light through the building to be enjoyed as the day progresses,” he says. 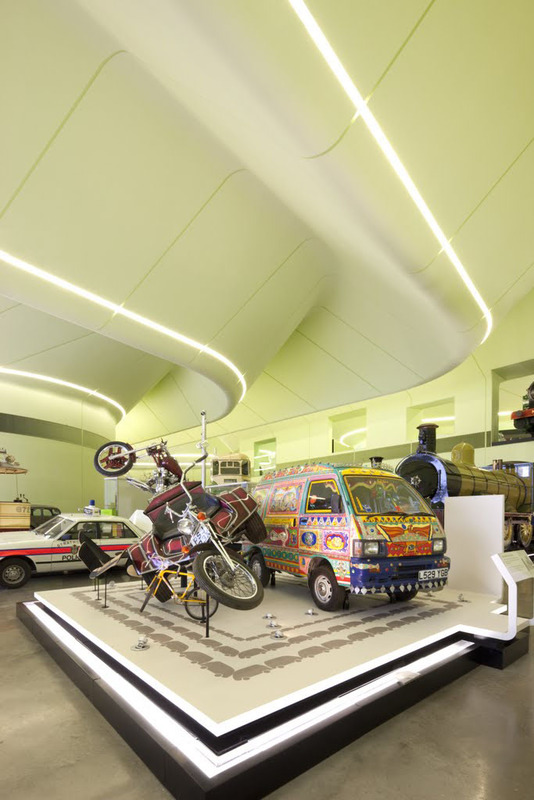 In addition to creating the ground-mounted lighting system and key attraction lighting, DHA also created a “flexible display system” that wraps around and supports key objects throughout the museum. 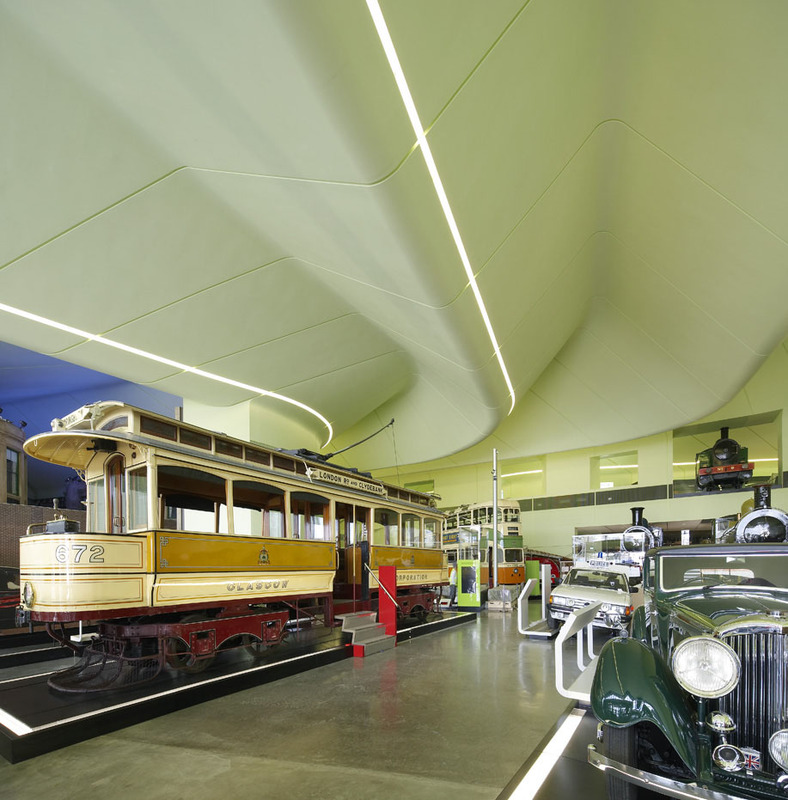 The modular system allowed DHA to utilize both recessed and extension accent lighting within the units and also serves as an effective method for clearly illuminating detailed aspects of the exhibits, such as running gear and pistons. 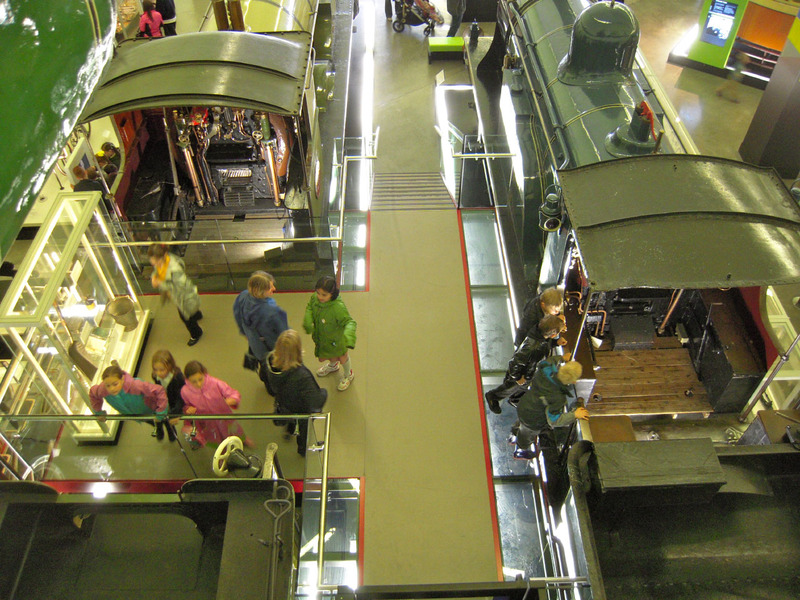 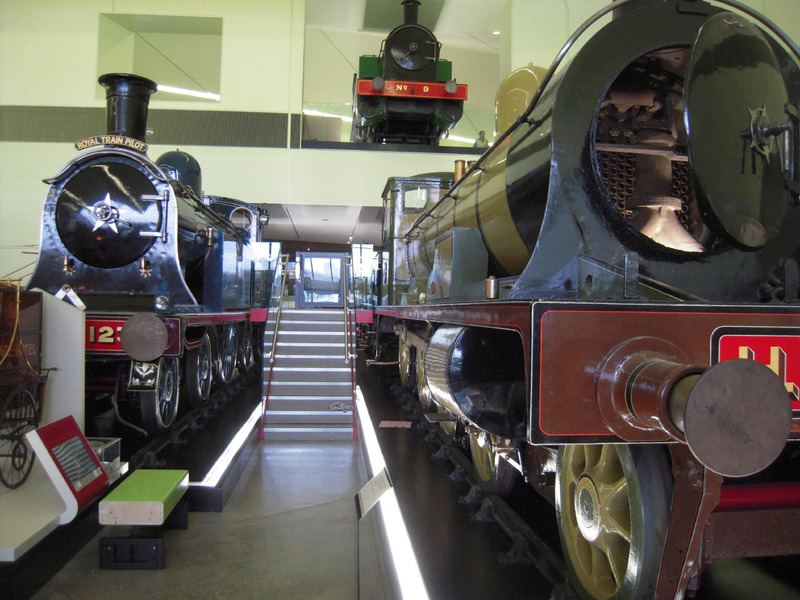 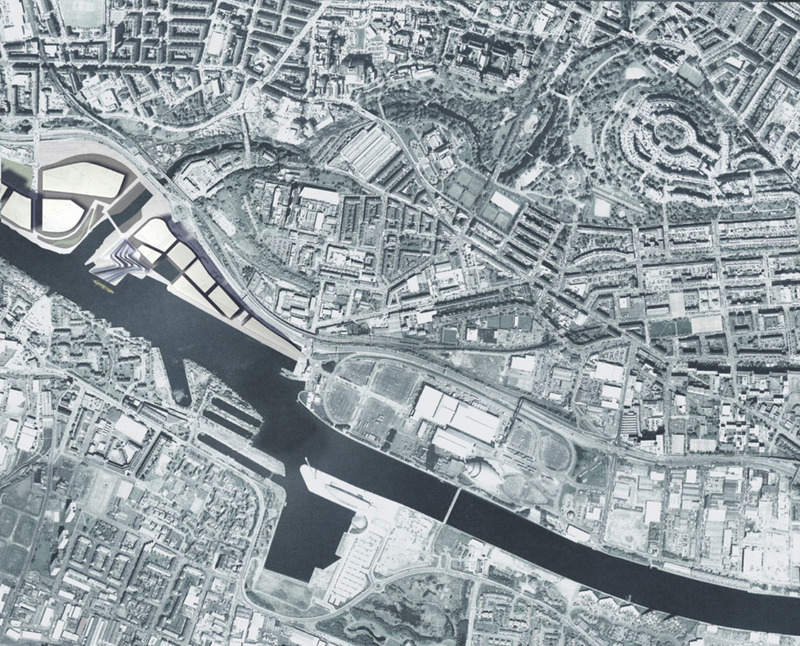 This is the third in Buildipedia’s five-part series examining the design and engineering of Glasgow’s Riverside Museum of Transport and Travel.